There are a many reasons why a homeowner may want to choose to remodel their own home. Choosing to be your own general contractor, and remodeling your own home, can save you dramatically on home construction costs. 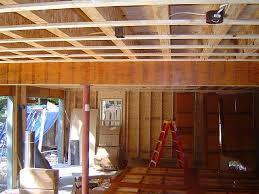 General contractor costs frequently represent 15 to 35% of the total home remodeling project costs. In addition, sub-contractors commonly charge mark-up fees on supplies ranging from 10 to 50%. By electing to be your own general contractor and rolling up your sleeves on some of the home remodeling tasks you can save a significant amount of dollars. Those dollar savings can be either kept in the bank or used to purchase material upgrades in the home remodeling project. In addition, the value that you add by choosing to remodel your own home often translates into instant home equity. Simply put, the realtor or bank loan appraiser doesn’t care how much you paid for your home remodeling project. He or she simply compares your remodeled home with market selling prices, and/or standard home construction labor and material costs for completing a similar home remodeling project, relative to your local area. The value he or she comes up with in excess of your home remodeling costs is instant home equity, complements of your personal efforts. Remodeling your own home also allows you the flexibility to finish the project on your own economic timetable so that you can reduce and maybe even eliminate the need for construction financing, which has its own set of costs, such as loan application fees, interest costs, and appraisal fees just to name a few. Choosing to remodel your own home also allows you creativity and control. Many home remodeling contractors have their own set ways and ideas, which can limit the features you may want to incorporate into your home remodeling project. This lack of control can leave you frustrated both during, and after the home construction project is completed. By being your own general contractor, you have ultimate control, and responsibility, in completing your home remodeling plans. Choosing to remodel your own home also allows you creativity and control. Many home remodeling contractors have their own set ways and ideas, which can limit the features you may want to incorporate into your home remodeling project. This lack of control can leave you frustrated both during, and after the home construction project is completed. This said, if you are a detailed oriented person, plan well for contingencies, and have some basic home remodeling knowledge, you have a reasonably good chance of successfully managing and remodeling your own home. 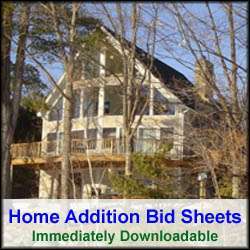 For help on building a room addition, see HomeAdditionPlus.com’s Home Addition Bid Sheets. Our Home Addition Bid Sheets provide you with the knowledge and information on how to plan a home addition project, and what to look for when hiring contractors. They also include detailed cost breakdown tables and spreadsheets for estimating your own new home addition building costs.